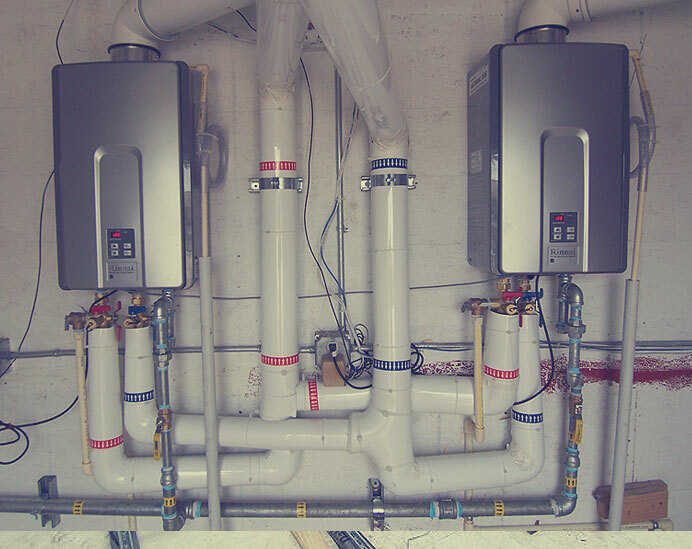 We install Tankless Water Heaters, helping homeowners and business save money on their energy costs, as well as save them from the headache of running out of hot water. We carry and install all major brands. Our professional installers are certified by most major tankless water heater manufacturers such as Bosch, Eternal, Navien, Takagi, Rinnai, Noritz, Whirlpool, Rheem and more. We provide FREE HOME ESTIMATES for installation. We can answer any questions you may have regarding your home, business, or office plumbing system. The job isn’t finished, until you are completely satisfied. 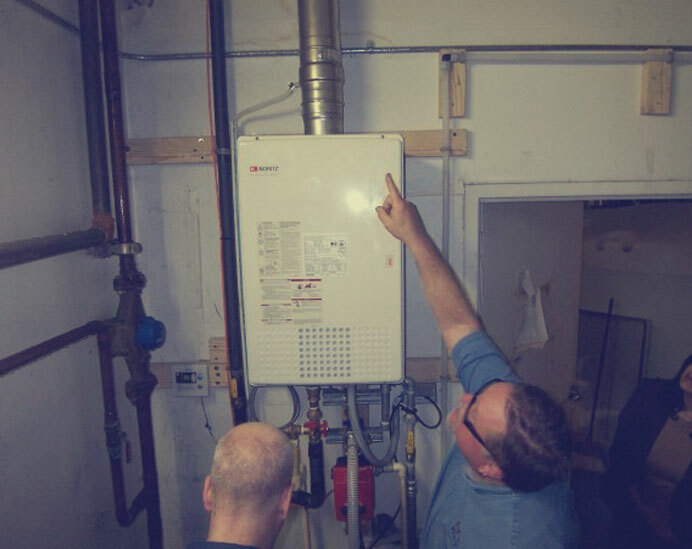 Our Service technicians are highly skilled in repairing both tankless and tank water heaters of all brands. 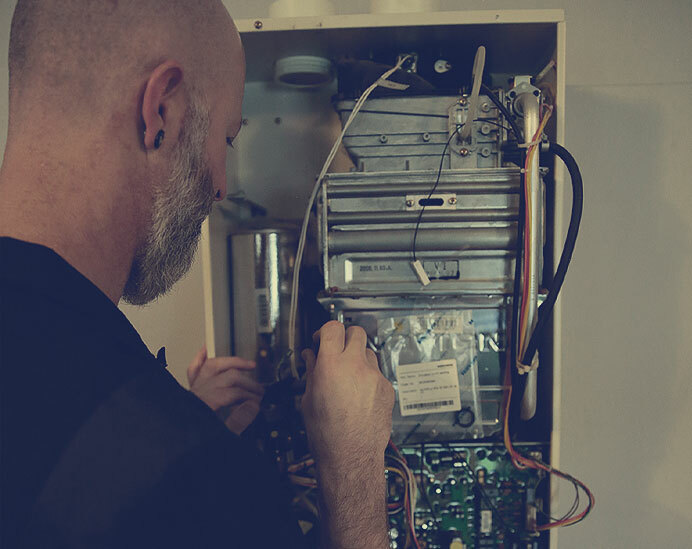 You can expect a complete maintenance check of your tankless water heater system, including the cleaning of all burners, air and water filters. We will also descale your heat exchanger, which should be done at least once a year, depending on the water quality. Contact our certified team at 832.673.0909 and we will repair and return your unit to the manufacturer’s specifications. Whether it is for the kitchen, the bathrooms, or other areas of your commercial property, you can call Hot Water Guys for assistance. Our team will check the pressure in your water and drain lines to ensure they do not require any repairs or replacements. Enacted in 1975, the NAECA (National Appliance Energy Conservation Act) sets uniform standards for the efficiency of the appliances we use in our homes. Since April 16th, 2015, standards have gotten stricter. This will not necessitate the replacement of previous models. 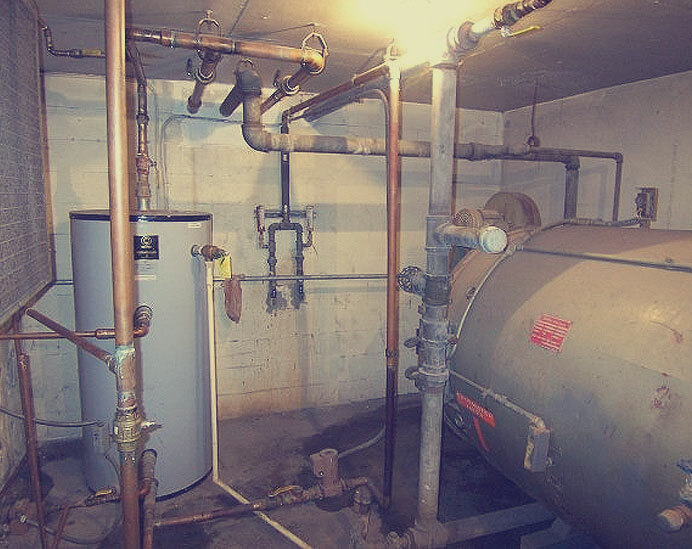 Should you decide to upgrade your water heater to meet these new guidelines, give us a call.